Gunther Steiner feels Haas has regained the form it enjoyed at the start of the Formula 1 season after recently going through a rough patch. Following a strong start to its debut F1 campaign with Romain Grosjean in the Australian and Bahrain Grands Prix, the team then struggled in China, Russia and Spain, even if the Frenchman did add to his points tally at Sochi. 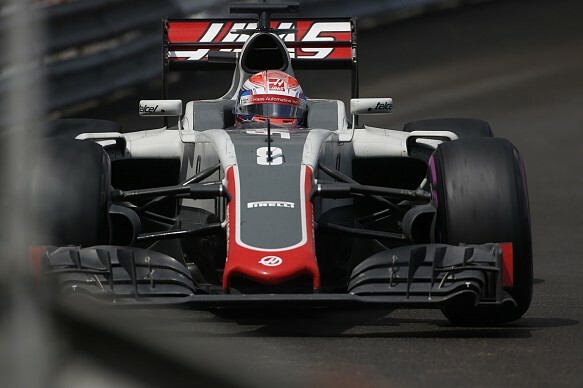 The two-day test that followed the Spanish Grand Prix at Barcelona’s Circuit de Catalunya then proved crucial, and although Esteban Gutierrez and Grosjean were just outside the points in 11th and 13th in Monaco, team principal Steiner feels his team are back on track. Grosjean echoed Steiner’s sentiments as he now feels much happier with the VF-16. Although Gutierrez has yet to score a point on his return to F1, with 11th his best result in the last two races in Spain and Monaco, he firmly believes the team is improving in the right areas. “The more we know the car, the more comfortable and confident I feel,” he said. “Every time we go out, I know a better direction to follow with the setup. Haas has adopted an aggressive tire strategy for this weekend’s race in Canada, with the team opting to run with 10 sets of the ultra-soft compound – two more than any other team – and three sets of soft, while completely ignoring the super-soft. Steiner appreciates a gamble has been taken, and now it is a question of trying to make that pay off. “We only tested the ultra-softs once before making the decision to use them in Canada, and that was in Barcelona [in testing],” said Steiner. “We will see in Canada if we made the right decision.